Does a card moving from your graveyard to the stack count as having left your graveyard, and how does that interact with assist? Does Desecrated Tomb trigger when I shuffle my grave? Is they a limit to how many token can spawn from a cards triggered ability? Whenever one or more creatures cards leave your graveyard, create a 1/1 black Bat creature token with flying. I've had a lot of success with Genesis Chamber , Desecrated Tomb and Gate to the Afterlife in my own list. They keep true to the low CMC of your deck. Gate to the Afterlife in particular I've found really helpful in digging for pieces or filling my graveyard with targets for Teshar. It's effect isn't terribly powerful. We already have token generators off of Pitiless Plunderer and Pawn of Ulamog and their tokens translate directly into mana for more flips. So you need Ashnod's Altar to make the Desecrated Tomb good, and even then, I'd rather just get one of the previous two creatures I mentioned instead. It's a noncreature artifact. So including it has the chance of messing up flips more and since the effect isn't all that powerful in and of itself (as described above) it's not worth muddying the waters for. Youngdeck on Gisa and Geralf, Corpses Everywhere! I play a zombie deck in a multiplayer group and Desecrated Tomb has helped to counter some of the flying game. Grave Pact also worked well for control when my sac outlets were on the field. 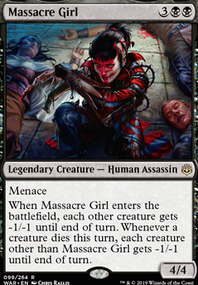 Hey, I really enjoyed watching you on MTGMuddstah, and I've been really hyped on Garna thanks to how amazing she is in Arena Omniscience draft. 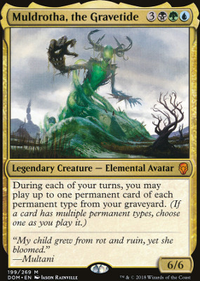 Have you considered Stinkweed Imp or Golgari Thug as ways to fill the yard? 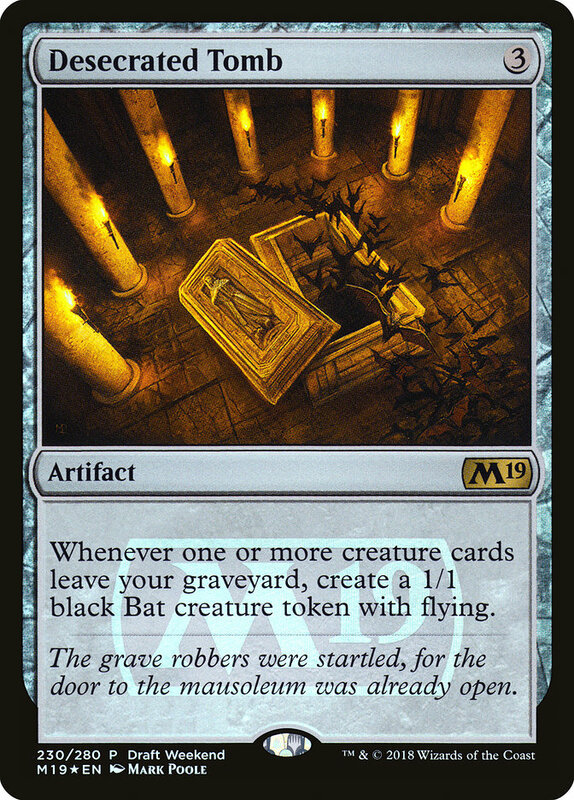 Also, any thoughts on Desecrated Tomb as a way to give you more critters to sacrifice (it also happens to combo well with Grenzo, Dungeon Warden which might be worth?) Lastly, any thoughts on Extractor Demon to fuel your big turn? @Hermitofcarim: I've opted to drop Arguel's Blood Fast Flip and Treasure Map Flip for quicker draw with Rix Maadi Reveler and Light Up the Stage . So the only time I pay life is for a shock land if I have a need to play it untapped, which is something I try to rarely do if possible. @Quadsimotto: Unfortunately I play this build way too aggressive to make good use of Desecrated Tomb . It's nice to have, but it requires me to take a turn off if I play it slowing the deck down. Thank you both for the suggestions and input. I have as very similar brew I have been running on Arena with some nice success. 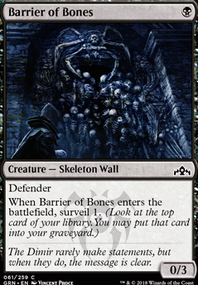 I run a set of Desecrated Tomb to crank out tokens in mine, Works wonders when the skelies leave the yard over and over. Thanks for the comment on my Grenzo deck. Love the rats theme, as it's definitely very flavourful for a dungeon warden. The major difference I find between our two lists is that yours appears to be much more aggressive than mine wants to be. I want to continuously re-suse controlling etb effects of cards like Meteor Golem and Ravenous Chupacabra , and then combo out somehow. I do like that you've found a use for Thrumming Stone , as it's potentially a great way to stack the bottom of the library, which my deck definitely wants to do. I find a lot of Grenzo decks just want to use his ability as many times as possible, just to see whats on the bottom. I definitely do that, but love it when I can stack the bottom, for some really great reactive plays - also rewards the decisions you make, as you stack the last few cards of your library. Though it makes me wonder if you should be running more rats though, to potentially go off with casting a bunch of rats for free, whilst bottoming key cards? I also had a hard rule when deck building - I want to be able to recur anything from my graveyard - hence, I have included no enchantments, and only 1 sorcery I can't get back from the GY. How do you find running so many enchantments? I guess that's what Magus of the Will is for, but I'm curious how that's working for you. 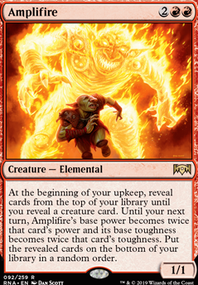 Also like the inclusion of Garna, the Bloodflame - I wanted to put her in mine, but decided to go for other forms of recursion, as I want to cheat mana costs with Grenzo as much as possible. With the inclusion of Thrumming Stone , casting from the hand may be more ideal than just flipping it off the bottom though, which is cool. Also, I have a Desecrated Tomb , but I just haven't been inspired to use it. I guess it's another great combo enabler with my Ashnod's Altar , but.. idk - how are you finding it? 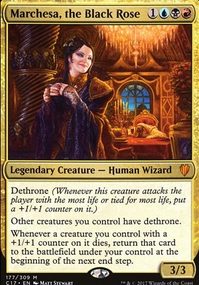 If you don't mind double red, then either Kari Zev's Expertise or Traitorous Blood would be better than Act of Treason. The latter grants Trample, which can be very relevant, while the former effectively costs 1 CMC instead of 3 if you have a 2-drop in your hand. Currently you have 21 spells that would be castable, so very likely to get that benefit. 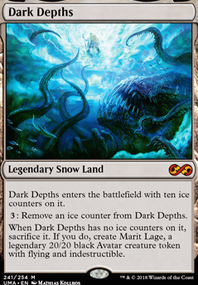 I'm not sold on Desecrated Tomb in this deck, considering you only have 5 creatures that will trigger it. Speaking of, while Reassembling Skeleton is a must-have for this strategy, I'm not as much of a fan of the Phoenix, because it's slow and tied to your upkeep (you can't sac the Elemental at any time to recur the Phoenix). It's also easy to stop the cycle simply by removing the Elemental before the upkeep. I'd replace those two cards with Blood Artist or, if you're playing multilayer, Zulaport Cutthroat .